Fujitsu claims the SPARC M12 server can achieve the world's highest per CPU core performance. Oracle and Fujitsu have teamed up to deliver new, ulta-fast servers, as they give cloud computing and digital transformation another push forward. Named SPARC M12, these servers come equipped with an all-new SPARC64 XII processor. Fujitsu claims this processor allows the SPARC M12 server to achieve the world's highest per CPU core performance. There are two models available for the new servers, the SPARC M12-2, and the SPARC M12-2S, which can be expanded to a maximum of 32 processors. “In recent years, as the Internet of Things (IoT), big data and artificial intelligence (AI) have become more prevalent in companies and society, there has been an ever-increasing volume of data to be processed, leading to demands for even greater performance, combined with a reduction in operational and management costs,” the two said in a press release announcing the servers. 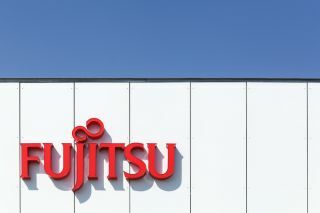 F”ujitsu and Oracle claim the new servers can support customers’ digital transformation efforts, as they promise stability with stable operations and new cooling systems,” commented Edward Screven, Chief Corporate Architect at Oracle. More details about the new servers can be found on this link.